Fly fishing is known as one of the most relaxing, contemplative sports, allowing those partaking to enjoy both beautiful scenery while exploring underwater biodiversity. 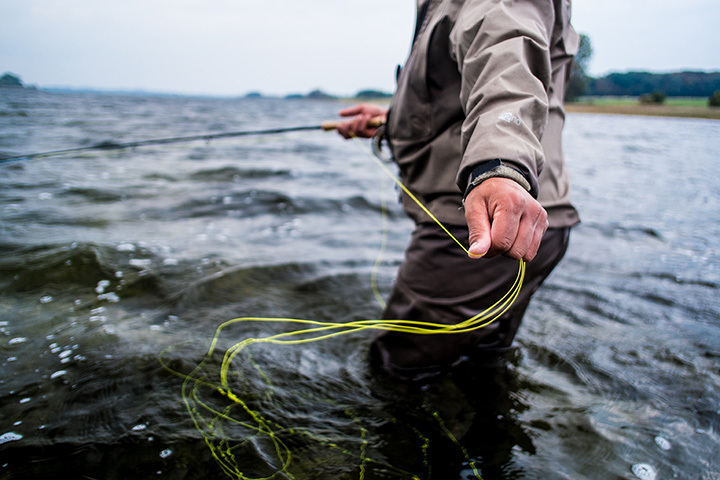 Due to Connecticut’s numerous streams, lakes, and other bodies of water, the Nutmeg State boasts a great number of excellent fly fishing areas. The following are some of the most popular spots in the state. Fishing is allowed from the scenic and historic Fort Trumbull 24 hours per day. Fishers might expect to catch bluefish, bass, summer flounder, hickory shad, weakfish, and more while fishing on this spot along the Long Island Sound. The fishing pier is handicap accessible and fishers can use a variety of bait. The pier is clearly lit after sunset, and restrooms and running water are also available nearby. The Farmington River has a large trout population, making this a fun spot for fly fishing. The river is also stocked with trout throughout the year, making it even easier to catch fish with angling. The best part of Farmington River for fly fishing is from the connection near Route 318 to the bridge passing over the river on Route 219. Do be cautious of others using the river, such as kayakers and canoers, who could become caught up in lines during the high season in the summer. The Norwalk River is another particularly good place for fly fishing in Connecticut. Most of it is open to the public, but there are a few stretches of private property, so do keep your eyes open for signs. Here you’ll be able to catch trout, as the area is stocked by the State of Connecticut. Penfield Reef is a public area with a sandy beach and jetty that is perfect for birdwatching and fly fishing. Fly fishers visiting Penfield Reef should plan to wade into the water while the tide is going out, which might help fishers to catch larger fish, since at low tide the reef will be mostly exposed. At Penfield Reef, fishers might be able to catch baitfish for use in catching a larger game fish such as a striper. The Saugatuck River is another spot that is stocked with trout, making it a good option for fly fishing. In addition, walleye, striped bass, Atlantic salmon, and bluefish might also be caught here seasonally. This river does have strict limits for fishers depending on the season, so do be sure to check them prior to setting out for a fishing trip. In Housatonic State Park, the Housatonic River is stocked with a large number of trout and the water is perfect for fly fishers. Trout aren’t the only options for fish at the Housatonic River; fishers might also catch smallmouth bass and pike, particularly to those fishing from a boat. Deeper sections of the river are likely to have larger fish due to the colder water. With a name like Trout Park, it is a bit obvious to select Kent Falls for a fly fishing outing. This fishing area is stocked with approximately 1,300 trout per year, and a map is available online with detailed information about pools, footbridges, and areas accessible for fishing. This park also has a scenic waterfall, a gentle hiking trail, and picnicking areas. Do keep in mind that parking here is limited, so it is best to arrive early. View more Connecticut Fishing Holes.